We get a lot of questions about LightSail specifics here at The Planetary Society. Students of all ages write to ask about specific components of the spacecraft. We hear from professional engineers looking for insight on everything from deployable structures to ground stations. And there are plenty of enthusiasts out there looking for digital schematics to build both physical and virtual models of our solar sailing CubeSat (we've seen LightSail show up in Kerbal Space Program, on occasion). 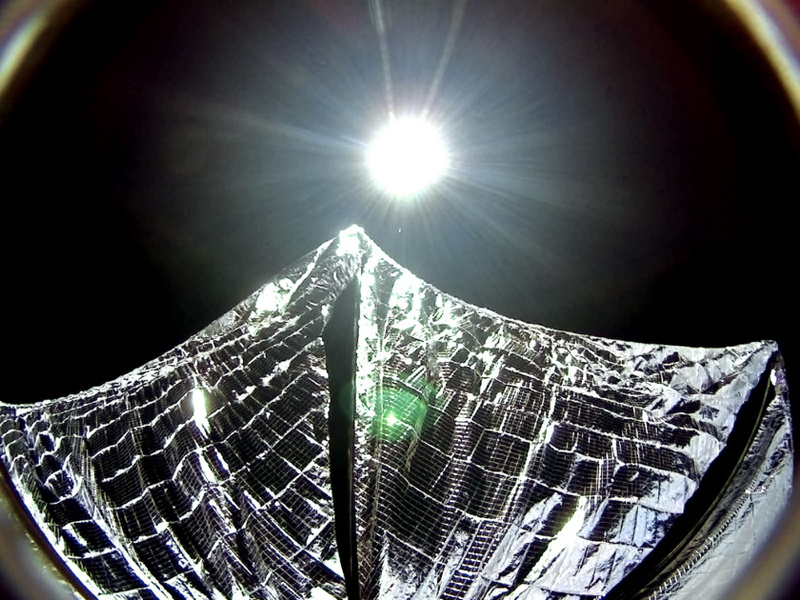 One of the primary goals of the LightSail program is to advance the state of solar sailing technologies. To that end, we've create a new webpage where you can find a treasure trove of LightSail technical resources. 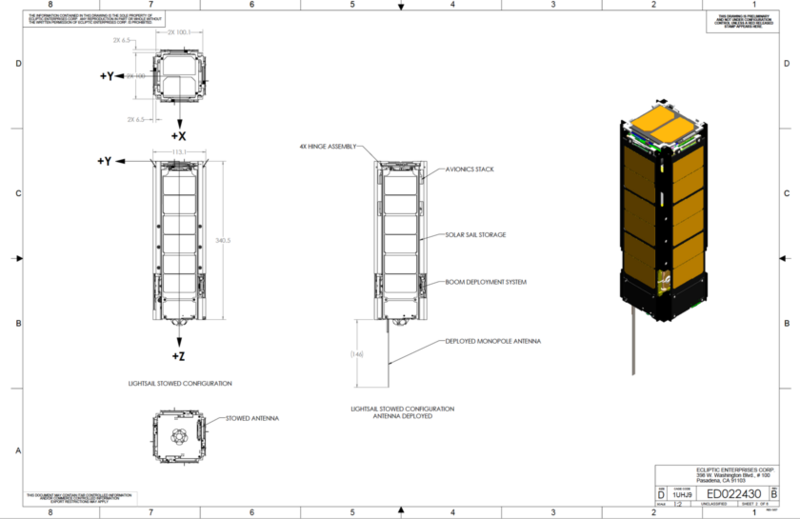 Want LightSail schematics, links to peer-reviewed papers, a parts lists and imagery? Check out our new Academic Resource Center. We uploaded seven peer-reviewed papers that our team has published on both LightSail 1 and 2. Three of those papers are being presented next week at the Fourth International Symposium on Solar Sailing in Kyoto, Japan. Our CEO, Bill Nye, will be there, as will Barbara Plante, or systems engineer from Boreal Space. We get a lot of questions about specific spacecraft components, so Ecliptic's Riki Munakata helped us cobble together a reference list of LightSail parts and their vendors. Links are included to manuals and schematics where possible. If you need a better idea of what the spacecraft looks like from different angles, we included a few high-resolution shots from spacecraft testing at Cal Poly San Luis Obispo. 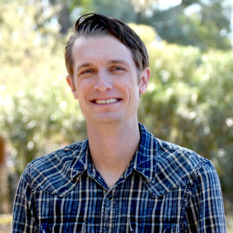 Thanks, Jason - it's great to have a LightSail resource center online! I look forward to sharing out more about what it takes to actually fly LightSail 2; how theory becomes algorithms becomes code for Attitude Determination and Control (ADCS), and what we will be looking in our LightSail telemetry when we launch. Hi, I see that you used Spectrolab solar cells. They only sell those in fairly large quantities. What did you do with the extras? Do you have any extras for sale? Thanks for the regular updates about LightSail. Is there a proposed launch date? Hi: Just a quick question. How does our light sail effort relate to NASA's nano Sail D and D2 efforts. A re just repeating what has been done already? If not what are the differences. I thought our effort was the first to fly but this doesn't seem to be the case.